1. Promote the Life Insurance products of the Company as Introduced. 7. Should be able to attend periodic training on new Products, Guidelines as advised by the Company. 8. Customer Centric and maintain the ethics of the Company. 9. Should be able to maintain more than 90% persistency on sourced policies by continuous follow up. 11. Maintain Sales Compliance in all business sourced. 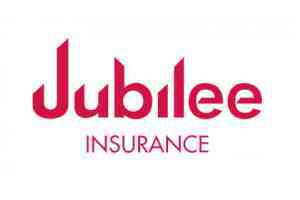 CAN I BECOME A JUBILEE LIFE COMMISSION AGENT OR UNIT MANAGER? 2. Are of 30 years and above. 4. Are you a House wife, Teacher need a second income? to be financially independent, retired professionals seeking new challenges are encouraged to apply. Attractive commissions are offered plus professional training on our products. Earn extra income to no limit!!!! Get to meet new people and seize opportunities therein.